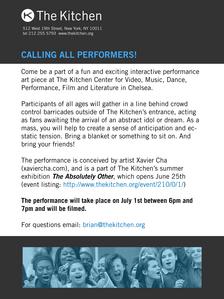 Show your fanaticism and be included in an exciting performance at New York's center for video, music, dance, performance, film and literature The Kitchen. 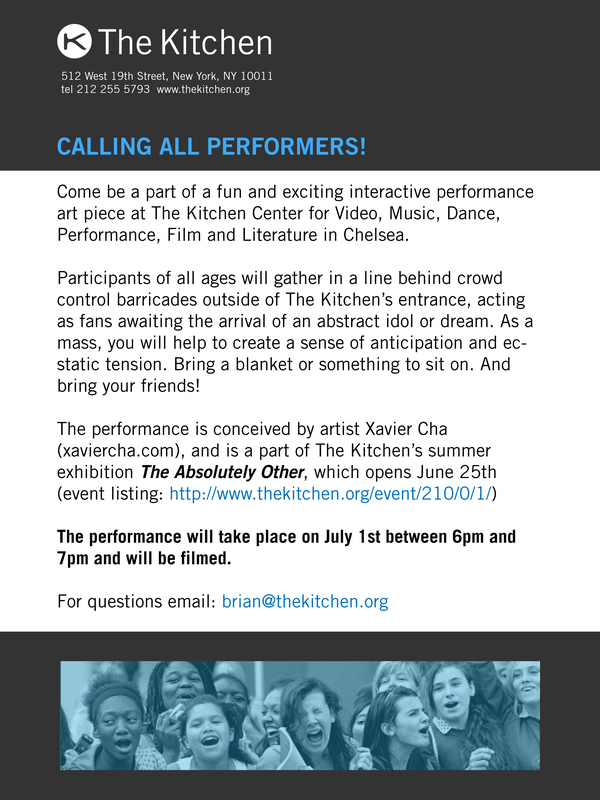 Participants needed July 1st from 6-7pm. 512 W. 12th St. Between 10th and 11th ave.